Lol. Why yes, they are related. 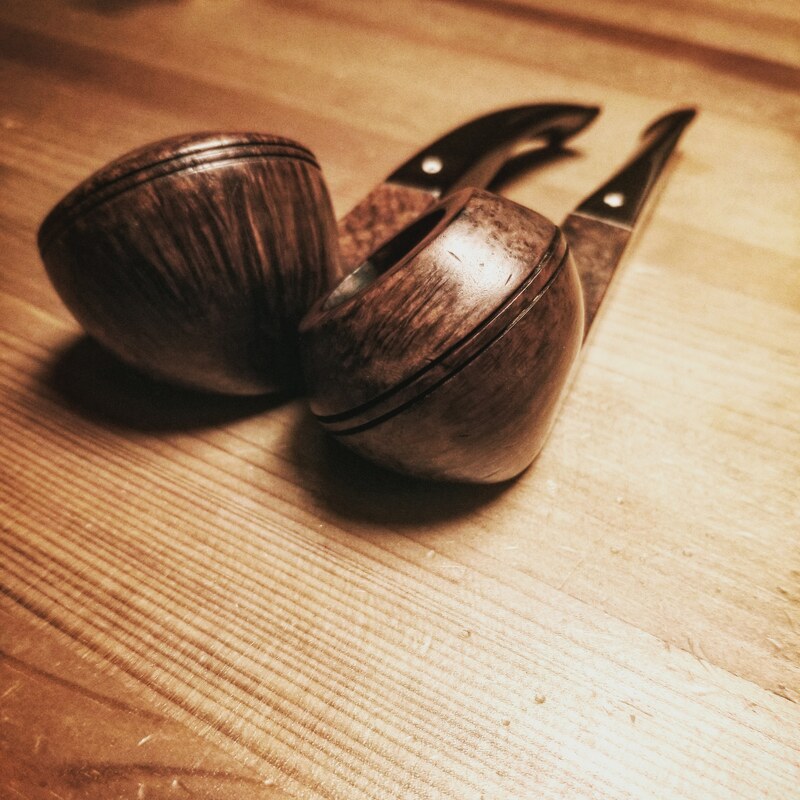 My father in law is also a pipe-smoker, but he doesn't maintain them at all. When I go over to his house, I will grab two or three and take them home to clean up and bring back to him shiny and new looking. Even if I don't get to smoke them, it's still rewarding. A time or two I've bought problem pipes on eBay that looked like a new challenge, just for the experience of fixing some issue(Like severe rim damage, or repairing bead lines), and with no intention of keeping it when I was done.